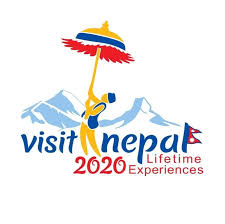 If you dream of traveling to far-off exotic lands, learning about ancient cultures and customs, being surrounded by unforgettable scenery and strolling through beautiful friendly villages and Panoramic Himalayan view. Everest Trekking region can help you to live your dream. Simply join one of our regular holiday adventure trekking hiking walking tour to Nepal, Tibet or India and the “Roof of the World” Mt. Everest will be at your feet. At the foot of Mount Everest, on its southern side, lies the Everest Base camp utilized by the fruitful 1953 undertaking of Hilary and Tenzing and endless Everest campaigns from that point forward. The Everest National Park is the home to the highest mountain on earth. The region is situated 120km northeast of Kathmandu. It has been listed by UNESCO as a World Heritage Site since 1979 and It covers an area of 1148 sq km. The landscape in the region is truly stunning and beautiful with some breathtaking panoramas along with deep valley gorges and crystal clear rivers. The region varies from alpine like scenery in the southerly regions to more harsh and rugged trerrain, dissected by deep gorges the higher you trek. Elevations range from 2845m in the south to 8848 meters, the summit of Everest in the north on the borders with Tibet. At lower levels there are many forests of silver fir, birch and rhododendron and when you are high there is little, perhaps some juniper scrub found in areas above 4500m. Important mammals found in the park include the Himalayan black bear, red panda, musk deer and thar.